The Dimernesti and Dargonesti are races of Sea Elves, groups that separated radically from the elven land races during the Age of Dreams. They have been few in number ever since the devastation of the Cataclysm in which many of their citadels and homes were destroyed. They can breath both air and water and have light bluish skin and webbed fingers. The Dimernesti are also called Shoal Elves, as they inhabit the shallows of many coastlines. Whereas the Dargonesti, or Deep Elves, inhabit the sea floors. 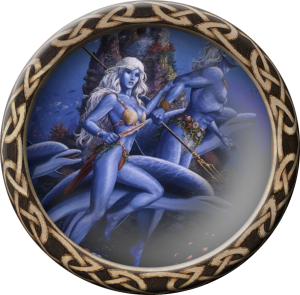 The Sea Elves see no need for Thievery, but are skilled at all other disciplines.